Imparts a thorough understanding of the Scratch interface. Shows how to create a range of Scratch projects, including simple games. 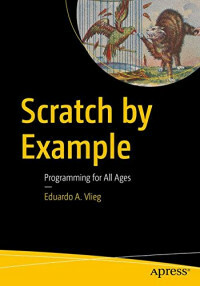 Scratch for Absolute Beginners is intended for complete beginners to the world of computer programming and the Scratch language. Learning to program in Scratch is an easy and fun way for anybody seven years and older to learn about computer programming. Scratch's drag-and-drop interface in a web browser makes the book easy and accessible to young children and adults alike.